I don’t need to tell anyone that I am a big London fan, and at Christmas it really does put on the sparkle on. 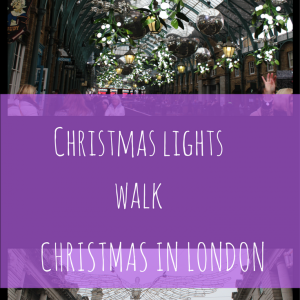 We’ve already visited the fabulously festive Winter Wonderland and watched the Nutcracker on Ice, but today I thought I’d share a great walking route to see some of the best lights that the West End of London has to offer. I got the tube to Piccadilly to start my walk. Getting out of the tube, I took the Regent Street exit and proceeded to walk up Regent Street, towards Oxford Circus. 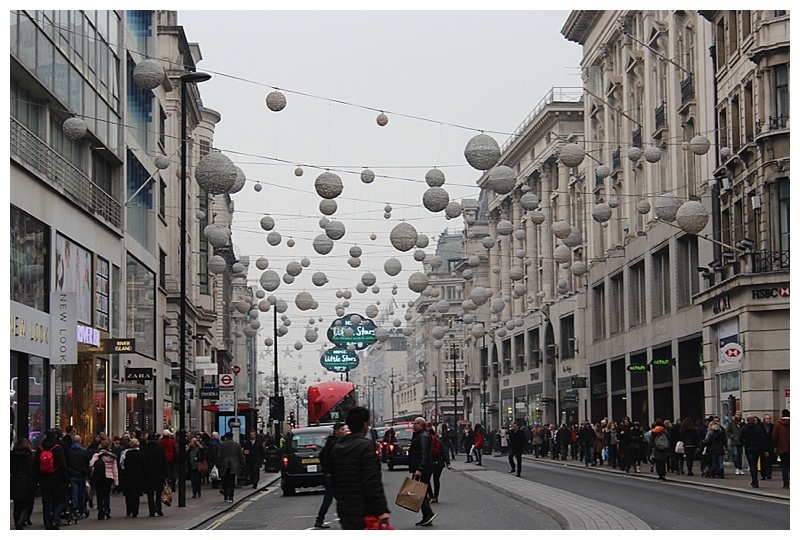 This year, Regent Street looks beautiful. In years gone by it’s had a more commercial theme, tying up with a movie usually. 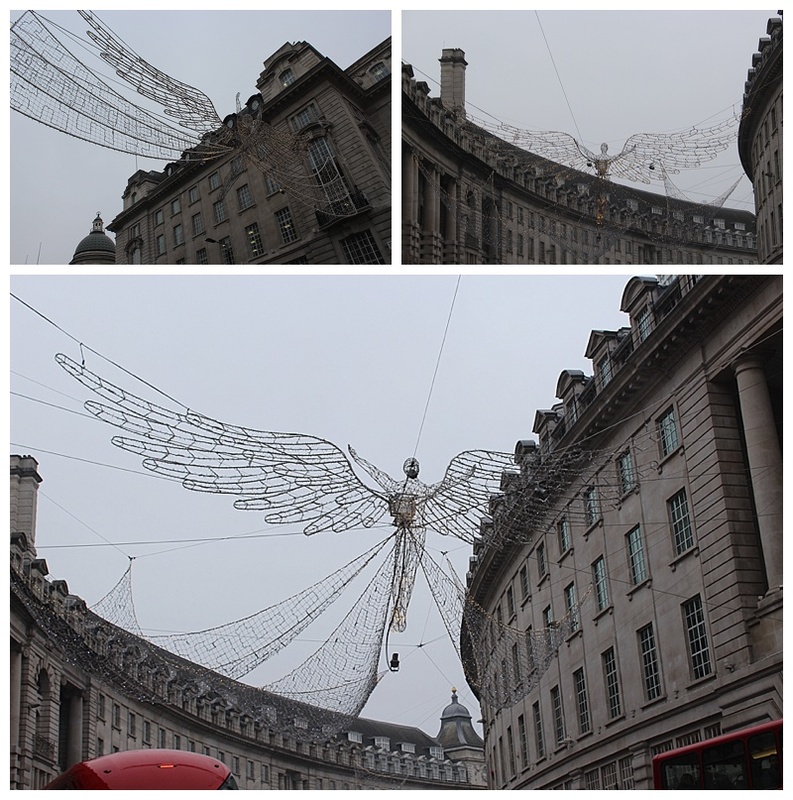 Instead, large, illuminated angels are flowing over the street, and it looks wonderful. Apparently they are replicas of the first ever lights in the 1950s. The shops are definitely at the luxury end here, and the shop windows reflect this, with some very opulent displays. Turn right onto Beak Street and then left onto Carnaby Street. There is a tie-up this year with the fabulous 1960’s exhibition at the V and A, So You Want to Start a Revolution, and the decorations spread the positive messages of Hope, Joy and Love. Something 2016 seems to be bereft of, but I’m sticking with Carnaby Street and bringing in 2017 with all of these. 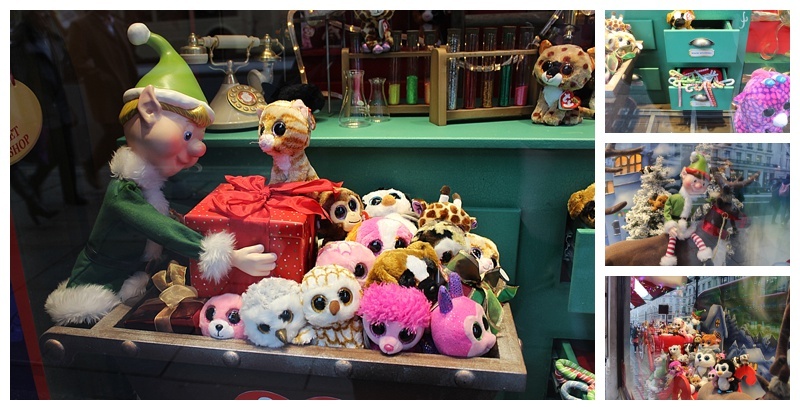 Small Detour (if required) to Hamley’s shop front (back on Regent Street). I don’t think it’s their best effort this year, but I know the kids would love to see the Beany babies take over Father Christmas and his workshop. Nonetheless, it’s detailed and fun. 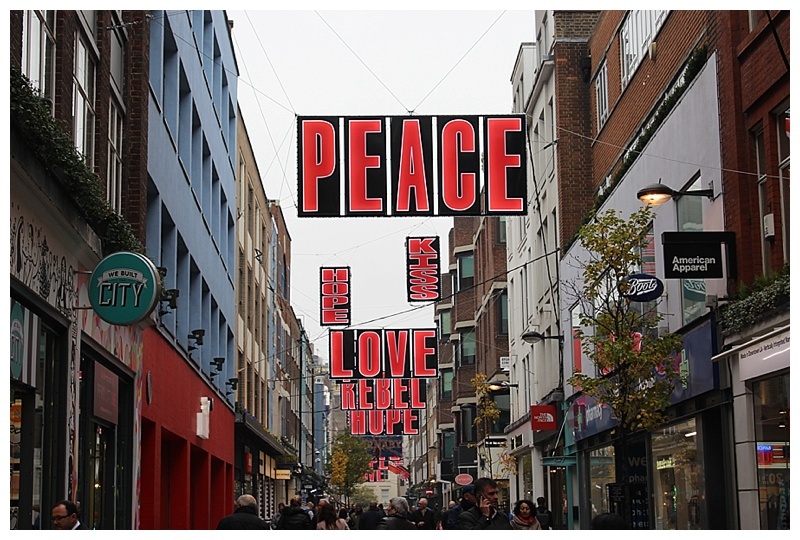 The iconic Liberty’s sits at the top of Carnaby Street, and turning left you get to see the incredible shop windows. 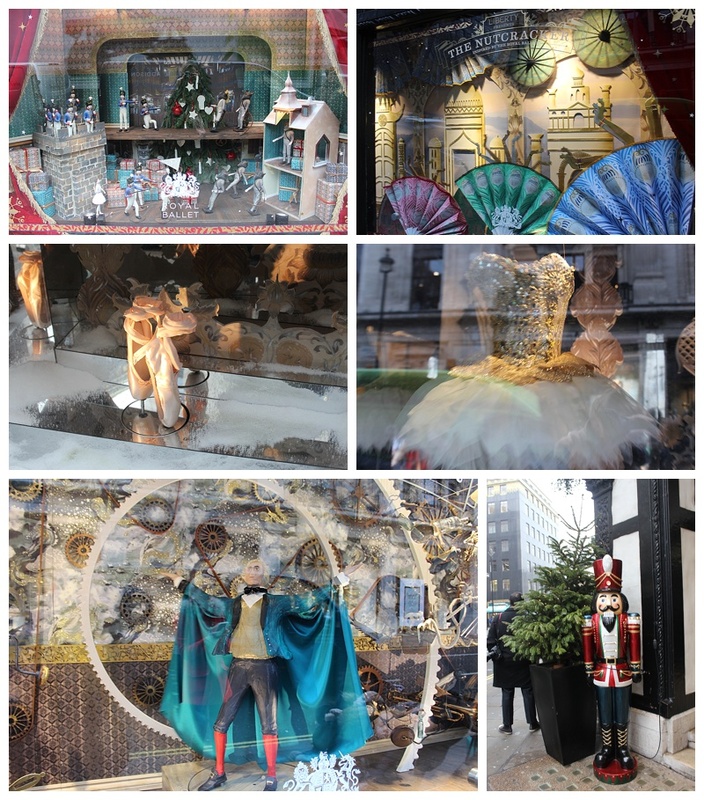 For Christmas, they have collaborated with The Royal Ballet and the windows are Nutcracker-themed. They are simply gorgeous: Cleverly thought-out, with the music gently piped as you gawp at the displays. Definitely not one to miss. Bear with me, the next part is a 10 minute walk. Turn right and walk up Oxford Street, towards Tottenham Court Road. Pass by the Crossrail development to the other side of the road (where Dream Girls is showing) and turn right onto Earnshaw Road. Walk to the end, turn right onto Shaftesbury Avenue. Look out on your right, and you should see Monmouth Street, walk down this street. I love this part of town, it is very quirky, and although you still have some chains, there are plenty of independents and independents do seem to do Christmas so well? 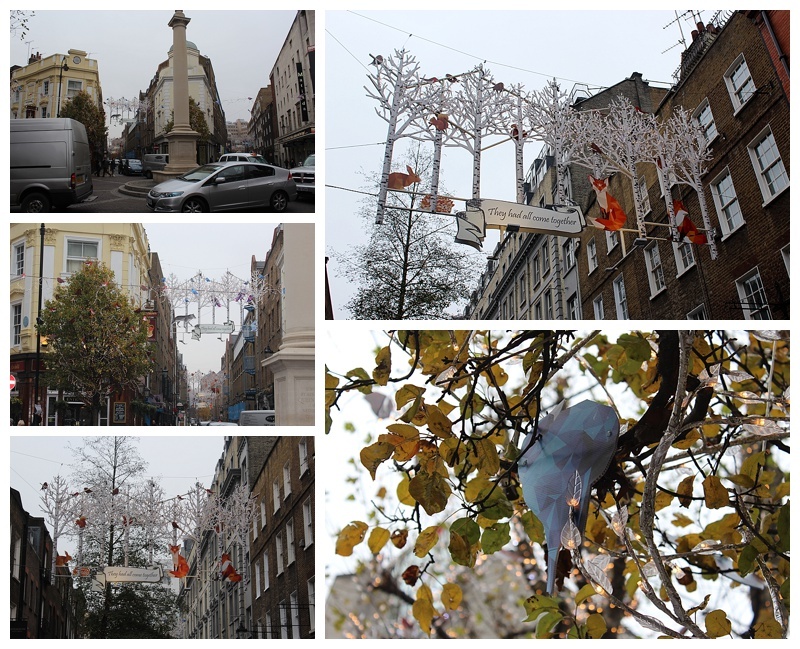 Seven Dials has become a winter forest, with the displays centred around the woodland residents – see if you can spot them all. The seven roads lead to the middle (by the theatre showing Matilda) where you find yourself in glittery winter wonderland, complete with decorated trees which actually have model birds in them too! If you ‘re feel thirsty by this point, stop at Monmouth Coffee House for a quick cappuccino. At Seven Dials, take Mercer St. At the end, turn left onto Shelton Street, and then right onto Neal Street. You should see Covent Garden tube ahead of you, then walk past it on your left and arrive in Covent Garden. Sad not to see this guy this year! However, London’s biggest Christmas tree is back. Thank goodness. And of course, the big balls are back in the main market! The theme is “meet me under the mistletoe” and the illuminated mistletoe chandeliers are bedecked with twinkle and sparkle, and there is even a few disco balls thrown in for good measure. 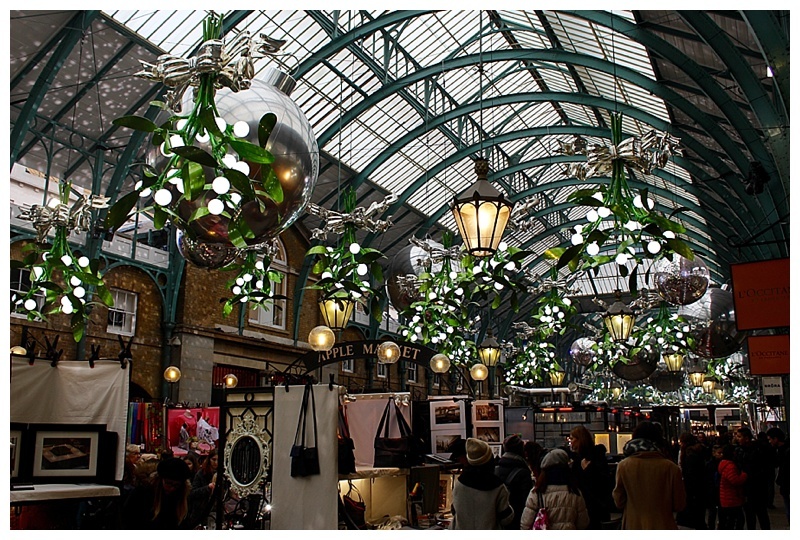 Covent Garden is just enchanting at this time of year – fabulous decorations, and worth a visit if only to get a kiss with your loved one underneath! Lastly, the brilliant folk at Lego are back with an awesome display. 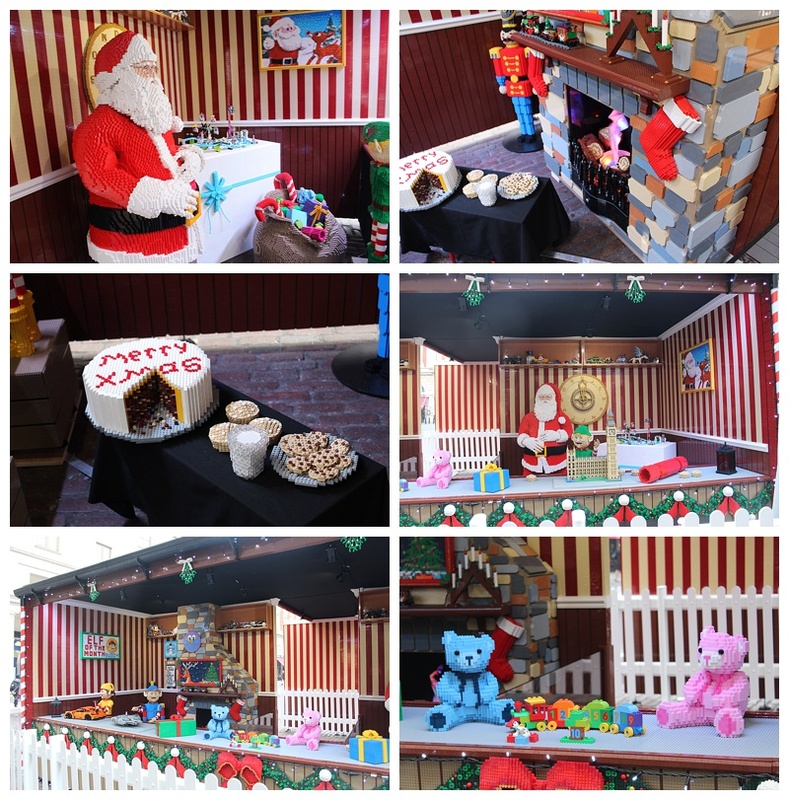 Last year it was the steaming train, this year 700,000 bricks have been used to create Father Christmas’s workshop. As you can imagine, the detail is immense – well worth a look. After all that walking, I reckon you deserve a sit down, and something mulled to quaff! 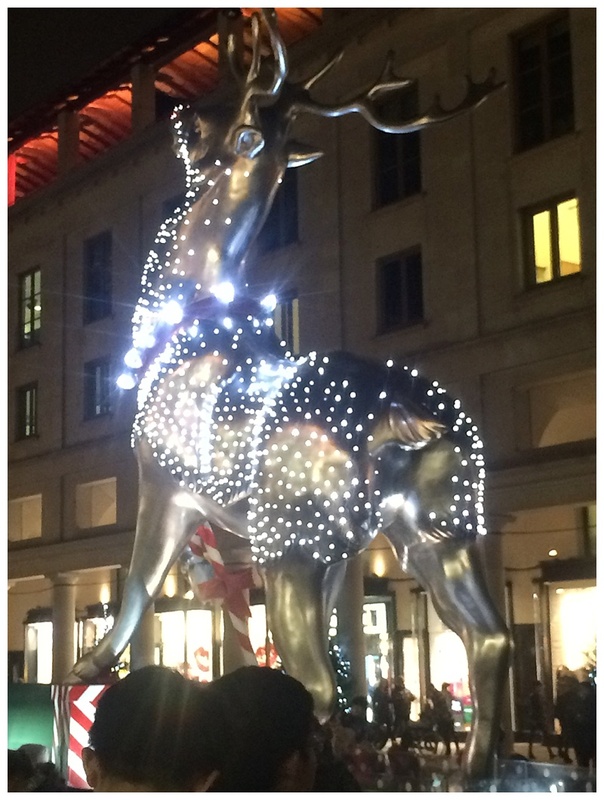 I’d love to know which lights in London you have loved and let me know if you do the walk!